There I was, a mere two feet away from Ashley and Mary-Kate Olsen—women who have been immeasurably influential in my own coming-of-age story. Though, I’m not going to wax on about the Got Milk? ads I clutched between my teenage fingers or the time I had bangs cut for the sole purpose of growing them out as they did. Because while Ashley and Mary-Kate have been in the public eye their entire lives, they now stand, individually, as 31-year-old luxury designers who don’t partake in the usual media fodder. It’s their penchant for fine fragrance that brings me here today, ahead of the launch of their newest Nirvana eau de parfum duo. I was led into the brand’s showroom in the West Village—a space with minimal furniture that still felt comfortable and warm. 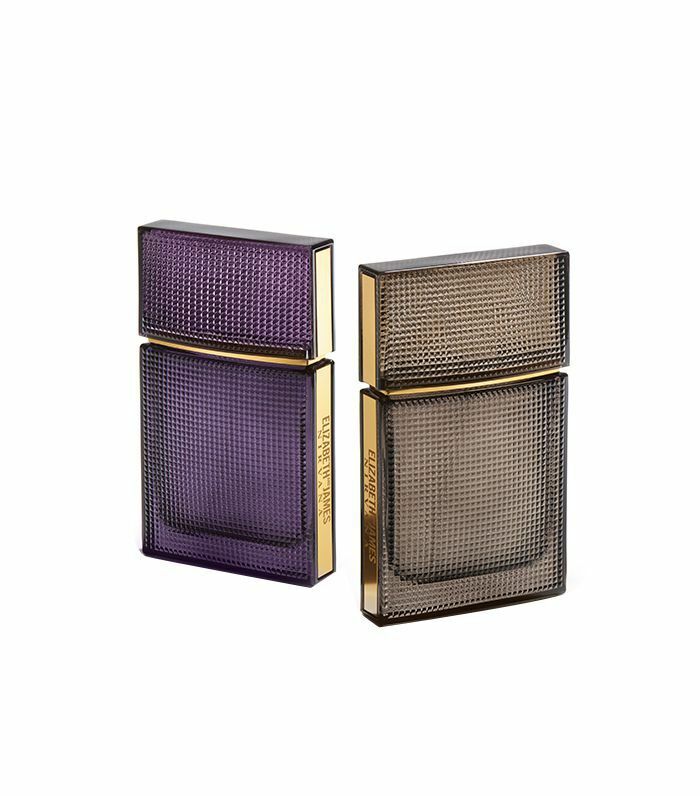 Their aesthetic is famously precise yet somehow difficult to pin down, a duality that lends well when creating a pair of fragrances that can be layered together or stand on their own. They greeted me, their impossibly big eyes fixated on mine. “It’s so nice to meet you,” I said, and really meant it. I shook their ring-clad hands and sat down. They sipped tea, and we talked about summer—why August is touted as “slow” but yields a slow-burning anxiety before the inevitable season change. I pressed play on my voice recorder and began my approved line of questioning. Ashley and Mary-Kate Olsen launched Nirvana, a set of fragrances meant to evoke the feeling of an “intimate moment,” in 2013. There was Nirvana Black ($85), a sensual, woody scent with notes of violet and sandalwood, and Nirvana White ($85), a floral musk with peony and muguet. After, they added two more pairs (Bourbon and Rose last year and now French Grey, a lavender, neroli, and musk blend, and Amethyst, with notes of tobacco, honeysuckle, and cedar). The women let me in on their process. “We started with Black and White in the very beginning,” Mary-Kate starts, “and you go through so many single notes that you really do you fall in love with. Though they may not be perfect, individually they stand out. Whether it’s a musk or a floral, there are so many different variations on a single note. Even just sandalwood alone you can go through so many. All of them stick with you along the way—it’s sort of like fashion in the sense that everything evolves and you can revisit an idea later on with something that better complements it. As all their fragrances have been predominantly unisex, I wondered if those choices were deliberate, based on the current cultural and political climate. In this case, inclusivity was the goal, though they’ve been drawn to less traditionally gendered scents from the beginning. “We’ve always been attracted to all types of scents, including colognes,” Ashley says. Mary-Kate agrees, “A male friend used to wear Tova, this amazing musk. If you love a musk, oriental notes, or darker tones, a lot of the time those are found in colognes or aftershaves. We want this to feel like smelling an old T-shirt or having a memory. As we breezed through each question, their eye contact was unwavering. It felt surprising from women who rarely take interviews, and refreshingly casual. I was looking right into the faces of those whose hairstyles I so often copied and whose clothing choices have influenced decades of my life. Yet our conversation was as engaging and warm as it’d be if I were sharing a couch with two old friends. I admit it felt really special. Perhaps that’s the magic of Ashley and Mary-Kate Olsen: Just when you think you have them pinned down, they surprise you with something remarkable. The conversation turned to hair, a nearly impossible topic to avoid when I’m sharing a room with two women who (along with Mark Townsend) practically paved the way for the current "undone waves" movement. I told them their hair garners thousands of searches on Google each month—it really does; I checked. I didn’t tell them I use a picture of them as reference at the hair salon, but I was thinking it really hard. "Why do you think people are so drawn to your hair aesthetic?" I asked. “I don’t know!” They both answered, in tandem, seemingly perplexed by the information but also revealing a glimmer of self-awareness about the fact that they are, of course, beauty icons for an entire generation of women. Before heading our separate ways, the three of us discuss our love for Biologique Recherche products—P50 ($65) in particular. “I feel really connected to that brand,” Ashley says, excited that I had found the products life-changing as well. We joked about how the smell and slight burning sensation keeps people away, but the results are undeniable. That, and how mysterious it is that you can’t find much information about it online. I told her about a facial I had gotten in Charlotte, North Carolina, at Toska European Spa. “I love hearing those stories,” she told me. And with that, I peered across the table at them one last time and told them it had been an absolute pleasure. And I really meant it. FYI: This is how a Parisian makeup artist uses American beauty products.